Welcome to the Summer 2018 edition of How to Watch Hotstar Outside India. Lots of sites have finally discovered Hotstar and I am flattered so many have copied the various entries on UnlockWorldTV. This guide is still the #1 guide. Why? Every other article wants to sell you a VPN service. This article is about actually getting you access! No VPN service alone will allow you to watch Hotstar Outside India. You are going to need to find a way to actually pay for it too! This guide has you covered with multiple payment methods. 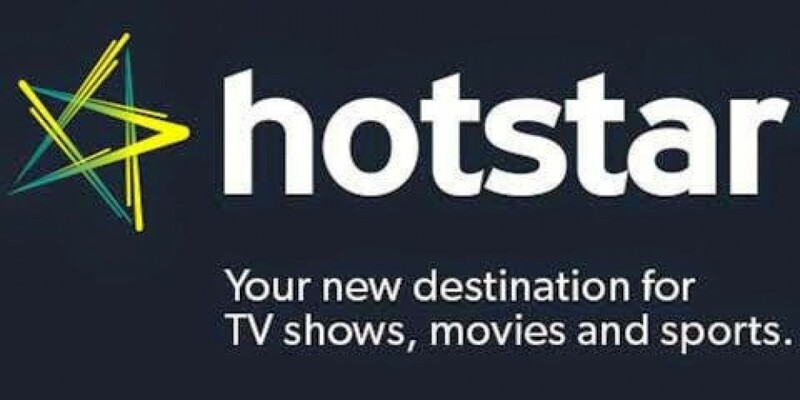 Hotstar is the an Indian, on demand streaming service similar to Hulu in the US or BBC iPlayer in the UK. It is owned by Novi Digital and Hotstar shows programmes in various languages such as Hindi, Tamil and Telugu, as well as a large amount of English programming and sports. 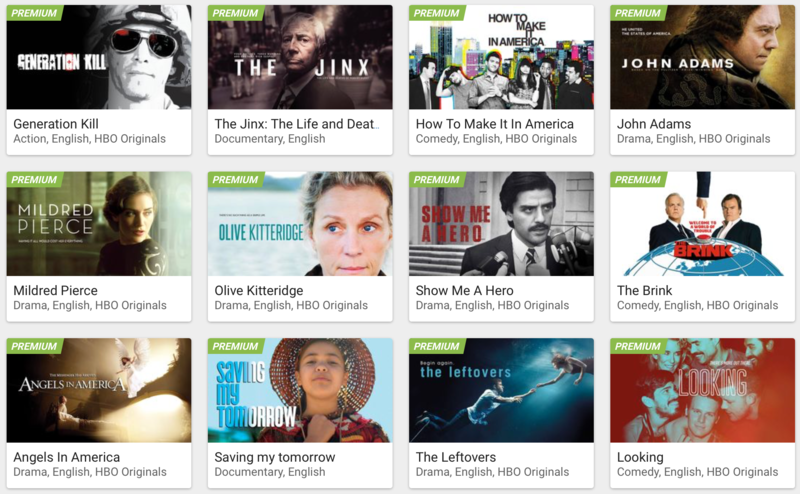 For Indians outside India, there are loads of top quality Indian TV shows and shows from around the world on Hotstar. This makes it a great resource for those looking for Hindi and other Indian language programming. Unfortunately Hotstar is not readily available outside India. 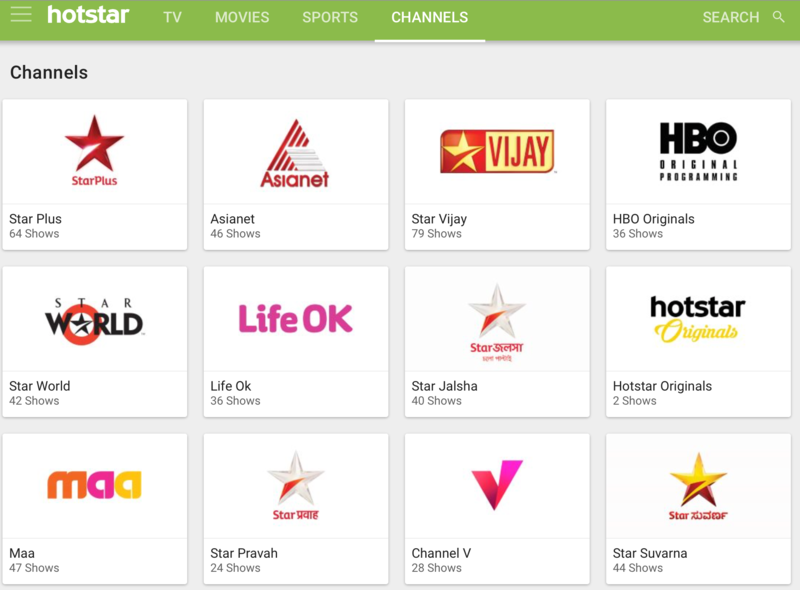 Simply put, Hotstar is georestricted so there is work to do to Watch Hotstar Outside India. Hotstar is still relatively new, and for the premier league, it is still in its infancy. Its still linked to Starsports, but the Premier League and a host of other TV and Movie content is now behind a paywall in India. It can be accessed for only INR199 a month which is about £2.30. Thats pretty cheap considering the immense programming, even if you exclude the premier league. What types of programmes can I get on Hotstar? Action films such as All the X-men films, alien and the marvel franchises and Disney!! Premier League, all of it. Everything, 380 games. Why use Hotstar for the Premier League? It is difficult to find reasonable packages that show all 380 games. This is one of the ONLY place to watch every game in English. And by every game, I mean all 380 of the top flight games. Its also ridiculously cheap to Watch Hotstar Outside India once you finally manage to pay for it. 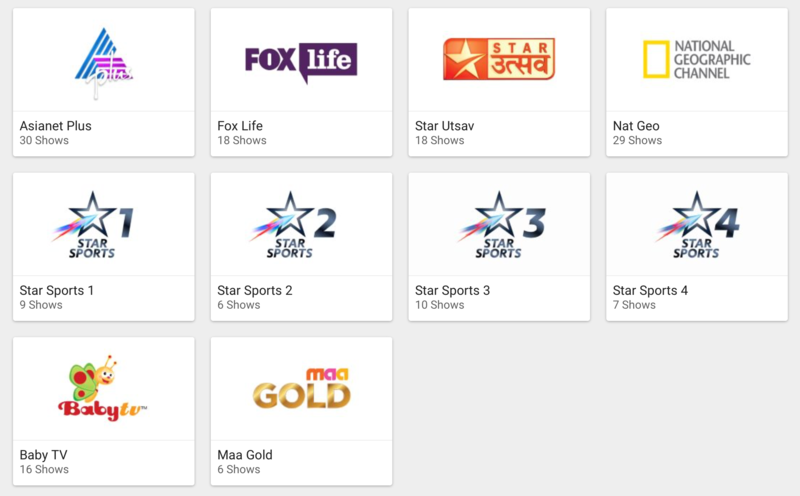 Hotstar is owned by Novi Digital Media but is geographically restricted to India only, unlike the regular Starsports programming which can still be accessed in Nepal, Pakistan and Bhutan. How can I watch Hotstar outside India? At present, whilst there are lots of VPN companies offering servers in India, there are only a number of confirmed companies supporting this service, or if not officially supported, very few that can provide style enough streams. All providers in this article have been tested with Hotstar directly. I have confirmed them myself. There are more providers, but these are thinly ones with a stable connection to Hotstar. Please let me know in the comments if you have found other providers to help you watch Hotstar Outside India, users trust other users’ opinions as do I! So please share your experiences of accessing Hotstar.com with a VPN or DNS. What devices can i use to Watch Hotstar Outside India? 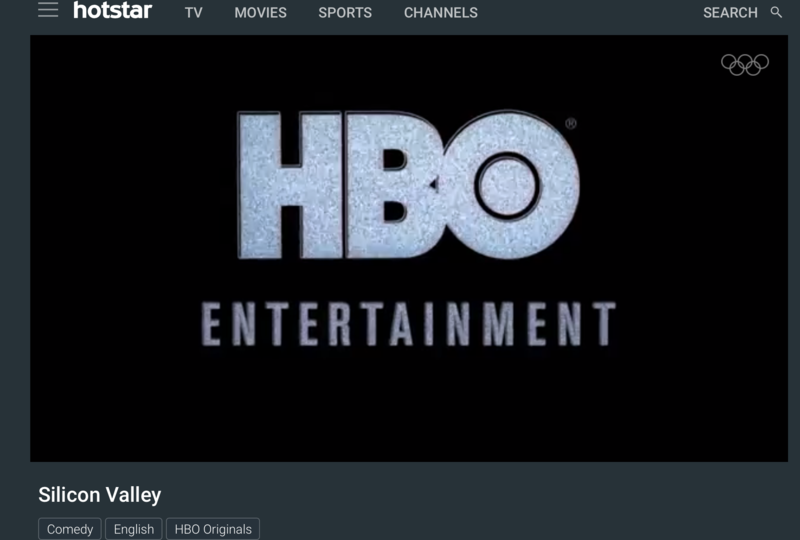 Express VPN unlocks all the content on Hotstar including HBO programming and regular TV and Movies. There is an excellent selection of both free and premium content. 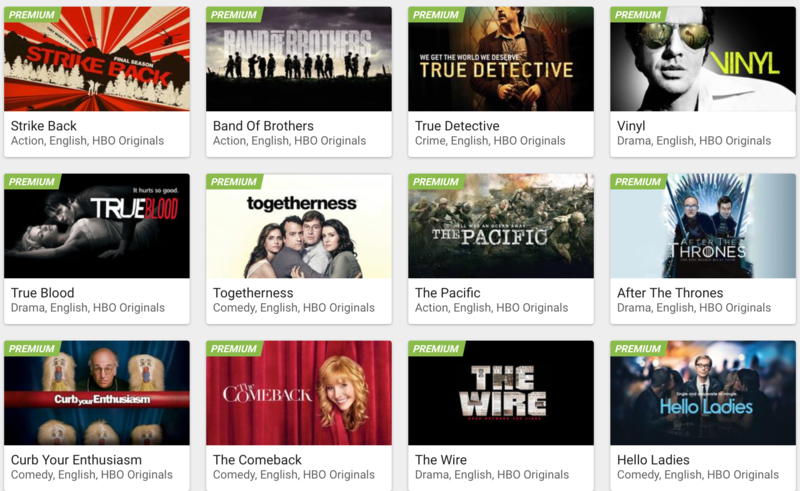 The premier package is THE cheapest way of accessing legal HBO content anywhere in the world. To Watch Hotstar Outside India with a Smart DNS I recommend only one provider. That provider is Smart DNS Proxy, who also officially supports hotstar.com. 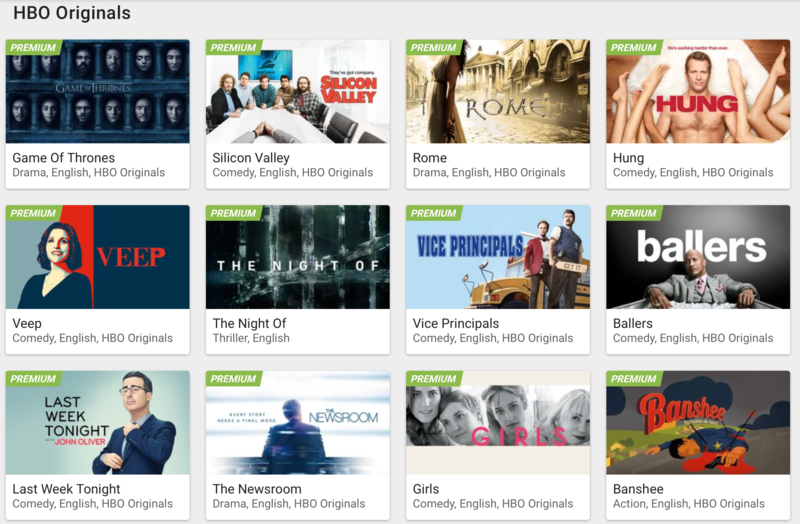 SmartDNSProxy fully supports Hotstar as of the date of this article, having fixed an issue with the TV and Movie content. Full marks to their network support team. SmartDNSProxy is currently the ONLY DNS provider to fully support Hotstar.com. If you aren’t bothered about the general flexibility or security of a VPN then this would be the best option for you for pure streaming simplicity. Simply fill in the form like the one below using a username and password. If you don’t want to do that, just sign in with Facebook instead. In order to upgrade to premium you must first find a piece of premium content. Click on a film with “Premium” banner on the top left. The top banner always has something as shown below. Once you have clicked on this you be presented with the payment screen. There are only two options, Credit Card and Debit Card. This section is locked behind a locally issued lock. That means your normal Visa and master cards issued in the US or UK won’t work. However there is a workaround thankfully. So, I have found one workaround so far and am working on another. For now lets go with what we have as this is the fastest method. The main problem, is that the payment methods need to be a debit or credit card issued by a local institution. I tried my regular visa debit, a visa credit and a master card and all were declined as being non locally issued. However, I noted on their site that they accept American express. No surprises for guessing that ALL American express cards are issued in America so I figured it would probably work. It did. So a pre requisite to completing this guide is that you need an American Express card. There is another method, but this requires an indian phone number which are either slow to get or expensive or both. So this is the fastest method. You can sideload the Hotstar app on your TV, though this may require you to get an .apk installer via your phone. There’s no guarantee that the app will work with your remote, but you can download a remote app which means you can emulate touch screen commands on your TV. Now you’re ready to install the Hotstar app. This will bring up a window with all installed apps. I tried your method but still have been unable to beat the credit card issue which still comes up with rejected as the card is from outside India. Did anyone try with EntroPay? I shared this on Twitter but I still can’t see step 5. I wanted to share on Facebook but it didn’t let me. I shared this page on Twitter as per requested, but I still can’t see step five. I wanted to share it on Facebook but it won’t let me. Thank you Rohit I was going to test purevpn tonight so you saved me a job! Disregard that, I can see step 5 now. Cheers! Sure thing, I’ll comment here if the signup works for me. Tried with 2 different American Express cards and didn’t work. I’m from Costa Rica. At this point I’m willing to do whatever it takes. Phone number method, kidnapping kids, swimming across the ocean, you name it. Can anyone comment about the quality difference between Eleven Sports and Hotstar? I have Eleven Sports now, and the quality is okay, but not broadcast quality level.. Going to try Hotstar with the OH’s Amex, currently got Eleven Sports on the go, can confirm you only need VPN to login. Just a heads up, seem to have problems getting the video player to load in Google Chrome but using Safari works fine! Quality is certainly a little worse than what Star Sports was though. Thanks for new and additional info – re hotstar. For those in the UK and who are visa/mastercard holders – what would be your advice regarding AMEX. I looked a pre pay credit card but from what I have founds – its for US citizens only. Only thing that I could locate is a Amercian express gift card. Do you think that would work ? Any advice regarding payment here in the UK without AMEX would be great. Amex gift card can only be used with in the UK. Be great at hear if you can suggest any solutions to non-amex card holder here in the UK. If not – will keep with bein/eleven sport. Once again, thanks for your great website as it means a sad/mad football supporter can binge on football as much as possible. Has anyone tried “in-app-purchase” trough indian app-store (using a indian itunes giftcard)? Getflix is working fine on the free content, but sadly none of my cards (or my Revolut virtual card that worked in other regions on the Xbox). Smartdnsproxy works with premium content. Have u seen the other workaround I posted on the front page? Sorry, Getflix may well work on premium, I just can’t get in to find out! Guys… How do you go about getting Indian iTunes gift card. Tried eBay but I’ve had to use this paesopay thing and my payment is not confirmed yet. Any other methods or sites selling iTunes Indian gift cards? Anyone have tried the Hotstar apple tv app? I can’t find live EPL, just on iPad and iPhone (and I have to mirror screen to my apple tv – which dors not give a fullsize picture on my tv). Maybe there are som restrictions on apple tv? Couldn’t see where you put a link on the guide, but went to Amazon.in to get one. Took a few hours to deliver and unlike here, you pay more than the face value of the card. I bought a 500 rupee to test with, but can’t get iTunes to let me create an Indian account. It’s not explicitly saying the gift card is wrong, but is giving an error and asking for payment info. Hmm. Maybe it was just yesterday, or maybe it was because my Getflix DNS was on. But it just worked, I created an Indian iTunes account. -Ran the apps. Stupidly said yes to the app using my location. -Geo locked, but no DNS setup. -App worked with free content, but not premium. -Turned off app knowing my location and premium now asked me to subscribe. -Tried to subscribe and it wanted a payment method. Gift card was not an option for a subscription you need a credit card. So back to square one! OK, never really used gift cards before. But if you redeem your gift card first in the App store app then it won’t ask for payment information when trying to subscribe, it will assume you will use that balance. 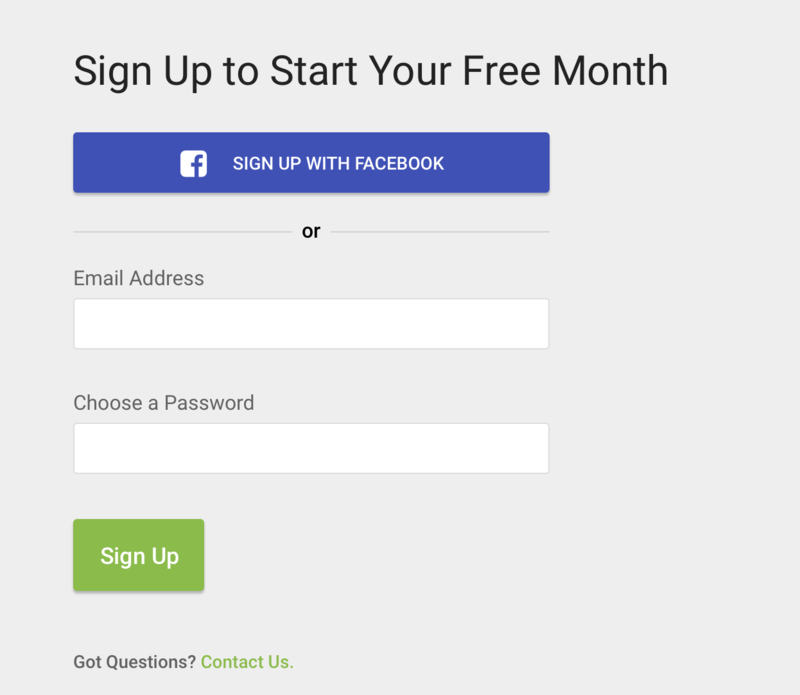 If it’s not obvious how to sign up in the App, click on premium content and start a trial, you’ll then get the opportunity to create an account. The stream quality is pretty good, but not HD. My current stream is about 30 seconds behind Sky, so it’s not delayed as previously through the website. First month is free. Each month is then 190 Rupees (£2.15 at today’s rate), but a 500 Rupee card cost me 799 Rupees on Amazon (£9.10) so if you buy small gift card each month is around £3.50 which is really rather good. You missed a step or two. You HAVE to be on a PC or Mac. You have to choose a free app to download by clicking GET. You HAVE to choose None as the payment option. Once you have verified your email address then you can add a voucher. Thanks for your input. Glad you got it sorted! Indidntbsee this comment before I replied! No problem. It does seem possible in various ways, if you are prepared to mess around a bit! And thank you! Very helpful site. hi, does hotstar have chromecast support? can’t get this to work,have a amex card…..goes through everything but fails on the final hurdle. Where are you in the world? Have you cleared your cookies? Did you choose credit card as the option? Have you tried the iTunes method instead? Must be the card. Is it directly issued by Amex or is it like one of those Lloyds Amex ones wth a standard 16 digit card number? I have signed up for the premium content, but it is not obvious where the premier league football will be. Pretty much all the video, apart from one live cricket show, are on demand. Does the website change when there is live football available, or do you have to search for it? Also can you watch the games on demand after they have finished? I couldn’t subscribe using a Virgin Atlantic Amex, but iTunes gift card worked fine! Mike, give getflix a try. There is a free trial and setup is just changing the dns settings. Then you’ll know if it’s the VPN. Just to let you know, my Lloyds AMEX card is no longer working for hotstar premium. It worked a month ago to start the free trial (small charge was made against it), but when the renewal was attempted for this month, the card was declined. I tried a second time manually and it wouldn’t work. im surprised that worked at all. But don’t worry try to either 1) pay when your browser is in private mode and/or you have a vpn on or 2) you can just pay with iTunes using one of the workarounds . Im using hotstar on Apple TV and it is such good value for money! Using Hotstar to watch football – every 5 minutes or so I experience buffering (blank screen, spinning circle). Anyone else having problems? I have a 75mbs fibre connection and use Smart DNS Proxy. Cheers for the advice – I have a wired connection. Just changed web browser to Opera Beta 40.0 and it seems to have remedied the problem. Must have a bogus extension or something running in Chrome? BTW, did you know that the Opera beta come with a basic set of free VPN servers? I did not know that. I haven’t used Opera for years! Not since I had a Ubuntu rig. Are those VPNs capped / limited at all? Not sure. It’s provided by Surfeasy.inc and only covers Canada, Germany, Netherlands, Singapore and USA. Better than nothing though. Just had a look through Surfeasy’s ToS – It has an ‘Acceptable Use’ policy for non-commercial use. Hi. I have obtained Amex basic card but although the site goes through security process with amex to provide security number the hotstar site rejects transaction. I am using IPVanish as my VPN software. Any ideas? thanks for quick response. I have now tried using private browser (firefox) on windows 10 PC with same outcome (after entering amex keysafe code). I am connected via IPVanish and can see free content so I assume that hotstar accepts my new-delhi server location. Hi. Can you advise on indian address (I assume this is not web address then). OK thanks. When does it ask for this? I have only been asked for an email address and password to date before trying to access the premium content. This may be the problem if I have not entered this address. the payment stage asks for id/password. I select premium content where it takes me to credit card page. after entering amex details (including amex safekey) it display ‘transaction unsuccessful’ screen asking if (1) i am using india based card and (2) have i selected correct credit/debit card type. there is no request to enter a postal address. Try clearing browser cache the. Closing browser connect to VPN open browser in incognito. it is a basic amex card direct from american express. I will do as suggested and if this doesn’t work try the iTunes method (i assume your site has instructions for this). thanks for your help. I have ordered a 15 digit amex direct from american express, I have registered with smart dns, restarted laptop and I can watch the free content on hotstar fine. I’ve cleared everything possible in my browser and used private browing on a range of different browsers and each time it declines my card. I suspect that the amex route probably isnt going to work for me. I’m in the uk and my amex was ordered and issued in the uk so that may be the problem? Update – I used the iTunes alternative method which has worked perfectly. Happily subscribed now! i will go over the AMEX method again. Worked fine for me, but a couple of people have had problems. For the benefit of the community, which Amazon seller did you use for the iTunes code? Hi. I have created an indian itunes account (from uk) and downloaded the hotstar app. I only have a windows 10 PC and app appears to be for ipad/phone only. 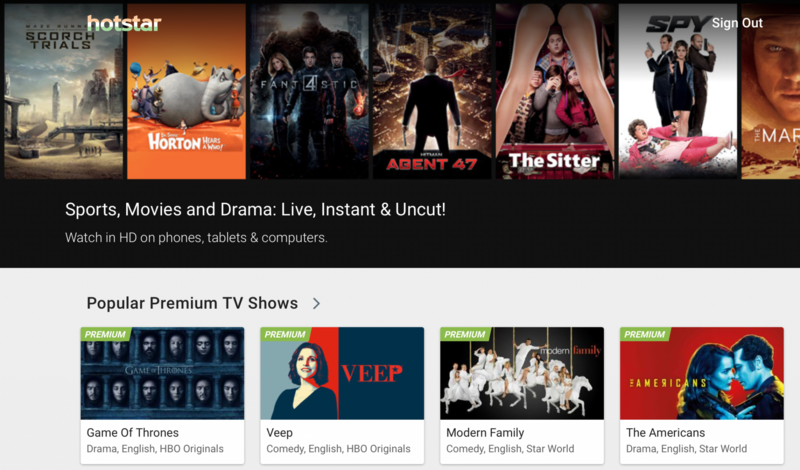 Can i watch Hotstar via itunes on windows 10 PC? If this can be achieved, I assume i then need to purchase indian itunes voucher to access hotstar content. Another question, sorry. I have followed links to amazon/ebay to purchase itunes gift card. If I sign-in with uk account I am told item not available for shipping. I created an Indian amazon account but the pay-process will not accept my credit card. Any advice? Thanks. Hi. Quick update. I have managed to acquire itunes gift card from Ebay.in and loaded my indian itunes account. Only issue that remains now is that I only have a Windows 10 PC and not an Ipad/Phone to activate Hotstar app. Any advice will be very welcome. Thanks. The quickest way by far would be to ask a friend with an Ipad or iPhone. Sign up for an Indian iTunes account if you haven’t already. Load the account w Th your rupees based voucher / gift card. Sign into the store on your friends idevice. Download the app. Pick a premium item. Sign in to your premium account or sign up and then pay via iTunes when prompted as an in app purchase. You’re bound to know someone with an Ipad or iPhone! Thanks for advice. I now have access to hotstar using friends IPad as suggested. I access hotstar via website on PC (behind IPvanish VPN). However quality of picture is very poor and even then keeps buffering. It certainly wont be good enough to watch live sports at current level of quality. I have tried changing indian server (twice) and even watching on lowest quality band offered but problem persists. I forgot to add that I in UK and watching via BT Infinity so this, I assume, is not the problem. Thanks. Will give it a go. IPad connection is perfect through same router etc so I am guessing it is something to do with IPvanish software. Thanks. I have used DNS Proxy and I get good picture etc. However, after about 30 mins continuous watching the picture buffers and then continues to buffer so I have to exit hotstar and re-enter. Any ideas on what may cause this? The download speed is 44mb and it seems to happen no matter what picture quality has been selected. Nooooooo … it’s now giving me region error when it was working fine a couple of weeks ago! Tried it with 2 different Internet connections – BT Infinity and EE mobile data. I’m using PureVPN. Has this happened to anyone else? is it still working or having region error according to last comment? Now having problems finding another iTunes India gift card to purchase on either Amazon or Ebay after my previous gift card expired – purchased another one on Ebay.in 2 days ago but they refuse to only provide the gift card code on e-mail and require physical delivery to India, which isn’t possible of course as am in the UK. Does anyone have any other sources for getting one of these cards? I managed to subscribe via itunes, but some of the premium content including EPL matches show a region block. I am using expressvpn and it definately connects to an Indian IP sunce I am able to watch some of the premium content. Any suggestions on why this happens? Thanks UnlockWorldTV for this incredible site. You are helping a lot of people. I managed to sign up using the iTunes method. No issues accessing hotstar using SmartDNSProxy (I tried ExpressVPN mumbai – 1 server but it was hopelessly slow). Tried watching EPL live for the first time last night using SmartDNSProxy and unfortunately there is just too much buffering. Even on the lowest setting it buffers every 10 seconds. Internet is pretty terrible in Australia (I average 1.8 Mbps and this is considered reasonable) but regardless I contacted SmartDNSProxy support and they told me that it was a known issue and that the network team are working on it. They did say however that they had no timeframe. I suppose I have two questions. First, has anyone in Australia managed to get this to work and if so what is your setup. Secondly, if you could let me know UnlockWorldTV if you have any knowledge of this issue currently as I know you have worked with them before and if there’s ever any hope with an internet speed of 1.81Mbps. Further to my previous comment, streaming is not normally an issue for me at 1.81Mbps. I can for example stream Australian Netflix and other streaming services without buffering. i’ve not streamed with quite that little bandwidth to be honest. The problem with Australia really is latency rather than speed I would have thought. Have you tried getflix? I haven’t but i’ve heard a few people say they had good results. With the DNS services you have to try and pick the server closest to you, still a bit difficult when you are a massive island in the middle of the ocean though eh!! How can i download the iOS apps outside the country if i am based outside of India. Which server on expressVPN do you use? I cannot access premium content when using servers from india? Any tips? 3) perhaps consider a DNS. SmartDNSProxy is properly configured to deal with all the services Hotstar offers and to my knowledge is the only one. I have successfully setup a subscription to Hotstar as per your instructions. This works fine using SmartDNSProxy on my iPhone 7. Unfortunately when using SmartDNSProxy or a VPN on my MacBook or an Android tablet I am getting heavy buffering unless I reduce to the lowest quality – which makes it unwatchable. Can you advise why that might be? I have tried other Smart DNS providers but they all appear to be detected by Hotstar. Hi, clear your cookies and be in private browsing mode in order to ensure it works on your Mac. Hey, I have the same problem as Kapil. I’m using SmartDNSProxy on Hotstar and it worked good with no buffering until a couple days ago. I tried using it after that but it buffers about every 10 seconds. I tried it on SonyLIV and it works fine with no buffering at all, not sure if it’s the Proxy, my internet, or Hotstar itself. Any way to fix this? I tried to fix Hotstar seen many people complain about it on social media so I just switched to Sling. Works much better than hotstar and never buffers so I’m happy with it. By the way, I think Premier League matches are blocked from most VPNs. I tried using it with a free VPN before my subscription ended and it said there was a network error. I’ve been watching Hotstar premium content without any problems using smartdnsproxy but this stopped working 2 weeks ago for some reason. Does anyone else have the same issue or can you recommend a working dns or vpn. yes, its been difficult lately via Apple TV though the PC has been ok. I had an email from Smart DNS Proxy this morning stating its all been resolved but I havent tested to confirm this yet. It’s super easy if you have a good, reliable VPN with you. Half of my family lives in Europe, so when I’m visiting them – I use NordVPN to connect to HotStar. Nord has about 20+ servers in India, it doesn’t sound like much, but they’re not loaded so works fine. Am I an idiot? Does Hotstar have live streaming of channels or is everything just on demand? Just signed up through the iTunes method and I can’t see any live channels or live streaming of anything (other than the news section). Tried pretty much everywhere on the website and app and there doesn’t appear to be anything live. The tv is largely on demand. The events are live. It’s early hours in India right now I can’t think they’d be playing sport this time of day. They don’t have an equivalent of say Sky Sports though if that’s what you mean in terms of scheduled programming. To summarise. TV on demand, sporting events live and then on demand post live for later viewing if needed. Thanks. I was really confused. I presumed there would be at least something on. Will try again later. Having the same problem as Alex above. Also I’ve signed up for a new Amex card in the UK – neither Hotstar nor iTunes (Indian store) will accept it as valid. I can’t get my American Express card to work. I think they might have stopped that now. American Express card is not working for me either. It fails at the last step everytime. It does seem like they have closed all the loopholes! Pardon my ignorance, but I can’t find the Hotstar app in iTunes on my iMac, even after changing the location to India. Has anyone paid using PAYTM? This does not work anymore. Latest Hotstar apps on mobile devices detect vpn & don’t allow streaming. Starting the app first & then starting vpn also does not work. Good while it lasted. Are there any subtitles for the bollywood tv program of Hotstar ? Such as Siya ke Ram or Radha Krishna ? that is genius level. I use fiverr myself and didn’t even think of that! I was able to buy 1 year of premium membership. Do I still have to use vpn and set it to Indian server ? Or can I login on USA hotstar website and stream. I am using ExpressVPN and the only server for India is buffering for hotstar. Anyone tried nordvpn? They got 20+ Indian servers but I am not sure if they are virtual or what and how fast they are. Hello everyone, I have seen some people (Luke ,Paul…) here has recommended my name on fiverr to get the hotstar premium subscription. So I am from India and have helped more than 10 people to get the hotstar premium. Some people took sports and some both movies and sports. So all you need to do is create an account on hotstar from your side and when the payment parts come leave that to me. Leave a message there with all the details like which package you want Rs199 or Rs299 etc. And how fiverr works is if your work is not completed you will get your amount refunded. So it’s totally safe. I have Hotstar premium account and Express VPN. I connect Express VPN to India. I can play all others premium content. When I play GOT,it says content not available in your country. I want to know is this a VPN error or my hotstar premium account error. have you tried a smartdns? 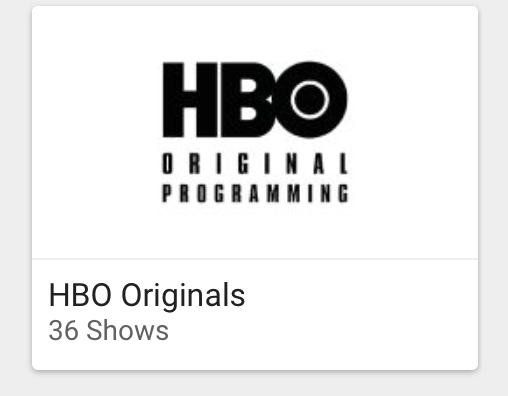 HBO is centrally served. Just for giggles, go to an american server and then on hotstar try streaming HBO. This thread has been great and many thanks for all the info didnt even know about hotstar and got it all signed up and running fine on ATV4 on smart dns. A couple of dollars for a year amazing. I could access only non-premium content through VPN and foreign cards doesn’t work for payment. I found a trustworthy person in India and sharing the details so that others can get the benefit. To get the premium. He will make payment to your account on your behalf. Just sharing for info, its your choice to contact any of them. Thanks for all the valuable info. I too got the hotstar premium from fiverr and its quite simple. I used the services of “sol_pro” who has more than 100 high rated reviews and he was lighting fast in making payment. Now am enjoying the cricket. Cheers Unlock World!! !